Are you looking for traditional home décor? 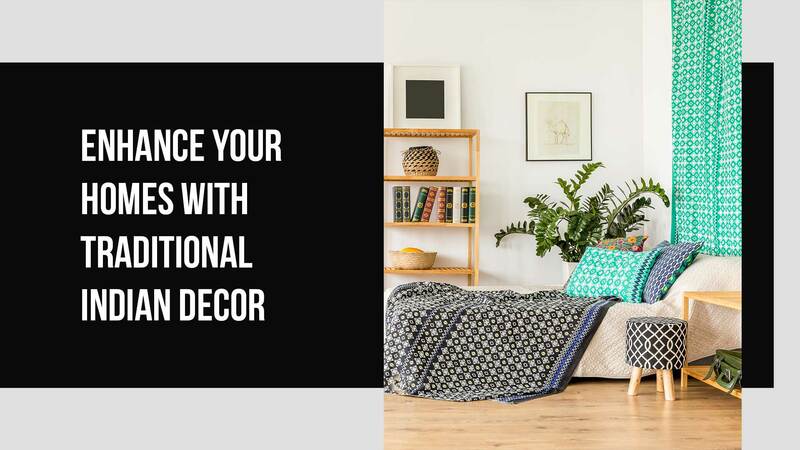 Then, you must certainly try Indian traditional home décor. RealtyNXt brings to you a list of things that you must pay attention to for traditional Indian décor. Indian décor style is characterised mainly by bright and vibrant colours. However, be careful when you choose the colours. The walls and floors can have earthy tones like ochre yellow, rich browns and burnt oranges. The pillowcases and chairs can be adorned with blue and green colours. Warm colours like reds, yellows and oranges play a huge role in the Indian style of home décor. Just make sure that the combination of colours that you pick are vibrant as well as pleasing to your eyes. If you are going for Indian home décor, then Indian ethnic paintings need to be a part of your house. Warli paintings, Madhubani paintings, Rajasthani miniature paintings, Tanjore paintings and folk paintings hanging on your wall will complete that ethnic look that you have been trying to incorporate. You can also add sculptures that are a symbol of rich Indian culture. If Indian décor is your choice, then understand that wooden furniture is an important element of this style of décor. Go for traditional wooden pieces with curved armrests and legs, carvings and inlay work in metal or ivory. Furniture made using natural materials is a major highlight of Indian traditional décor. The fabric chosen for cushions, curtains and upholstery should go with the décor style. Fine fabrics like silk can be used for cushions. Cotton and khadi will make a great choice for side chairs. Handspun fabrics are what defines Indian décor. Indian décor is characterised by intricate, bright and colourful patterns. Paisley is the most popular pattern. Intricate mandala motifs that symbolise universe are an integral part of Indian home décor. Patterns can be showcased in patchwork quilts, wallpaper and flooring.